Hadron Collider: step inside the world’s greatest experiment, the renowned Large Hadron Collider (LHC) exhibition from the Science Museum, London is coming to Brisbane from December 2016 and celebrates the world’s largest and most powerful particle accelerator. Buried deep beneath the border of France and Switzerland, the Large Hadron Collider is the world’s largest and most powerful particle accelerator and the product of the European Organization for Nuclear Research (CERN). The LHC is responsible for some of CERN’s most renowned work, including the discovery of the Higgs boson particle in 2012. The Large Hadron Collider is the work of 10,000 men and women from across the globe, united in their quest to uncover the fundamental building blocks of our universe. Particles hurtle around the 27 km ring at unimaginable speeds, gradually accelerating towards the speed of light. Within cathedral-sized detectors, housed in vast subterranean caverns, they collide. From their energy new particles are born, some of which have not existed since the instant after our universe began. Come on a journey. See history being made. Meet engineers who build the impossible. Walk the tunnels of CERN. Stand in the heart of a collision. Witness a moment of discovery. Step inside the world’s greatest experiment. 9.30am to 5pm Monday to Sunday. 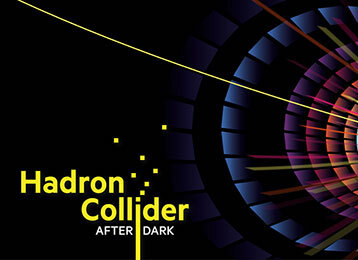 Experience the largest scientific experiment ever constructed, After Dark. Featuring expert talks, demonstrations, live music, films and access to the entire museum. Three nights only. Limited tickets available. Experience the largest scientific experiment ever constructed, After Dark. Featuring expert talks, demonstrations, live music, films and access to the entire museum. New dates added. Limited tickets available.